This statistic shows the average estimated annual cost to attend different universities and college institutions in the United States for academic years 2013/14 to 2018/19. 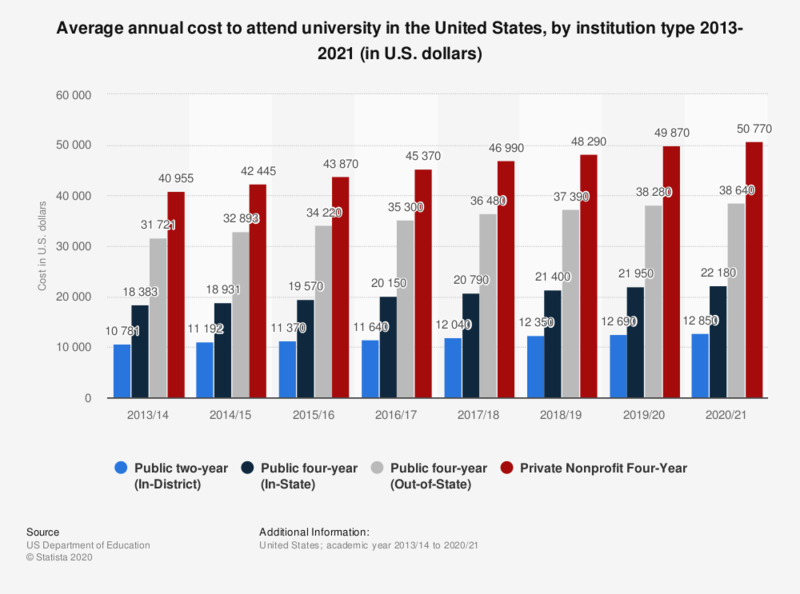 The average cost of attendance (which includes tuition, fees, room and board) in public four-year in-state institutions was 21,370 U.S. dollars in academic year 2018/19. 1. Costs include tuition, fees, room and board, per annum. 2. For Public two-year institutions and Proprietary institutions room and board is not included in the estimated cost. 3. Data for previous years has been derived from previous publications.